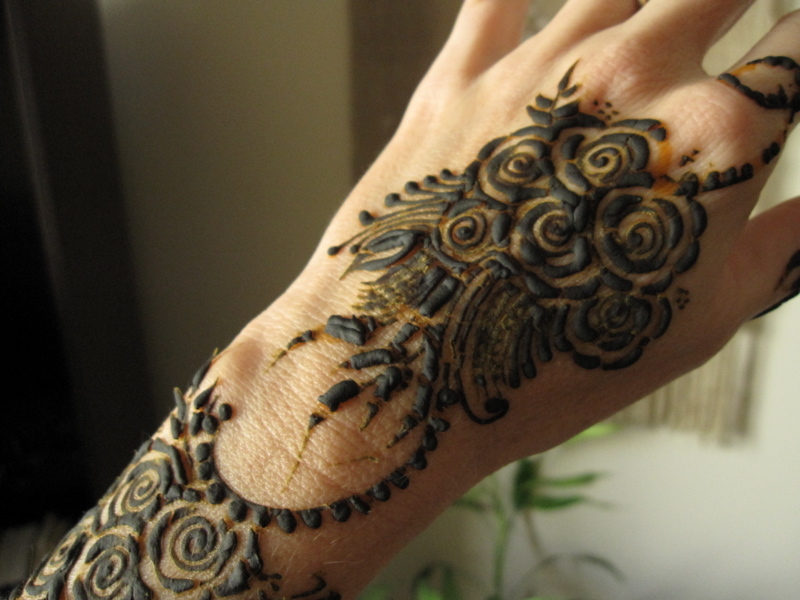 So I had my hands painted with henna last week, because I was going to a Qatari wedding, and that's what people do. 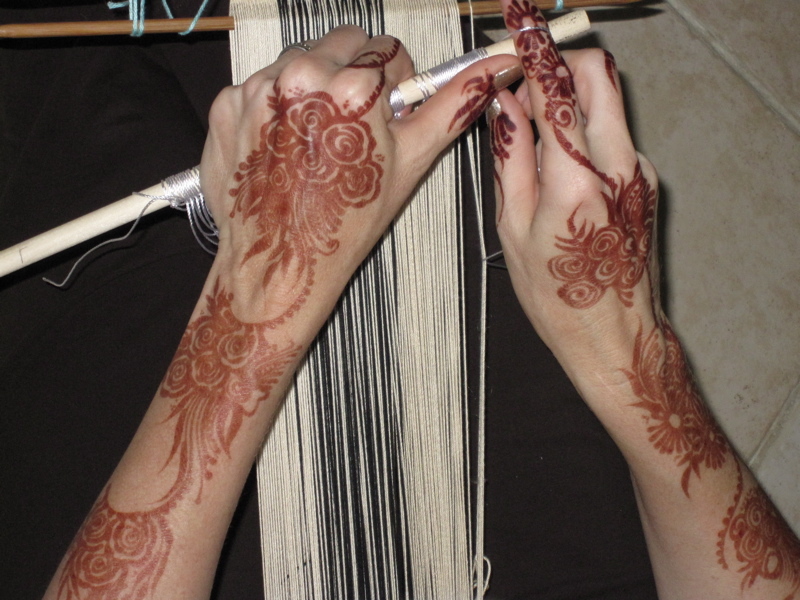 And the best photo I have of both hands turned out to be this one taken while I was making heddles. 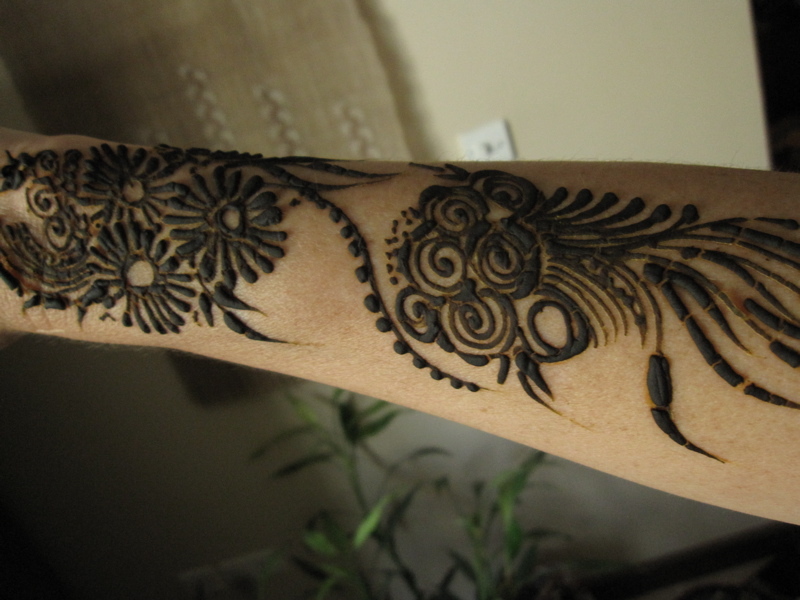 This is a few days after the henna application - it got darker over the first several days. 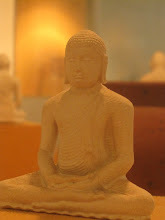 It was difficult for me to sit around and not do anything with my hands for over 2 hours the first day. I did in fact try to doe some spinning on the wheel, and little bits of blackened, dried henna kept flaking off into my fiber. 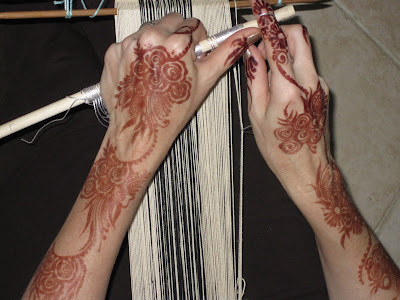 Some women get the entire surface of their hands and arms done, including palms and fingertips, but I would surely go crazy if I couldn't use even my fingertips for a few hours. When it all flaked off, it was red-orange, making quite a contrast to the quilt I was working on - although the leaf shapes are similar. Trying to photograph my henna'ed hands doing fibery things became a brief obsession, but without much to show for it, until the hub snapped the one at the top. 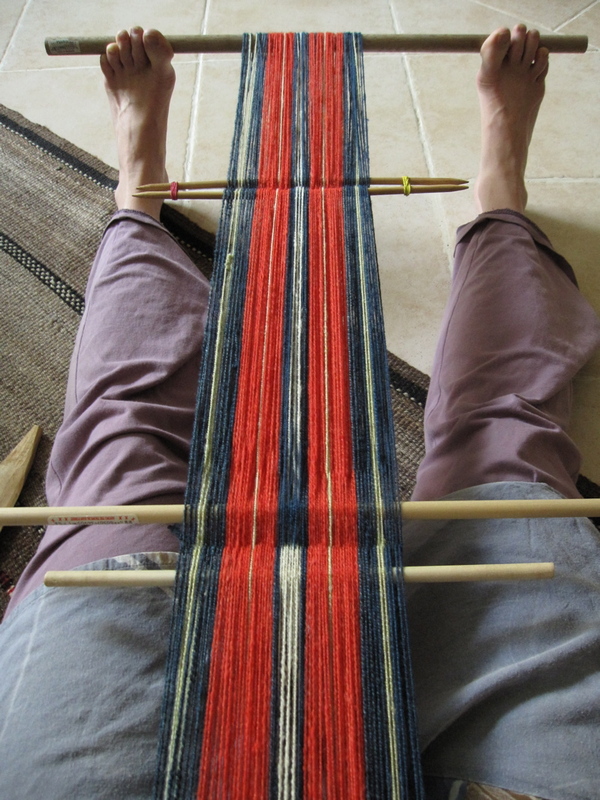 So, inspired by Emi in Laverne's recent report from her classes in the US, I tested the length of my handspun warp and found it perfect for this setup. 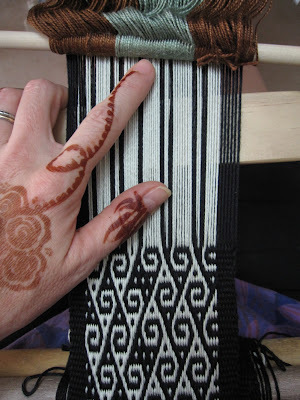 I don't think I could weave a whole piece this way like Emi, but for the short time it took me to make heddles, this worked well. 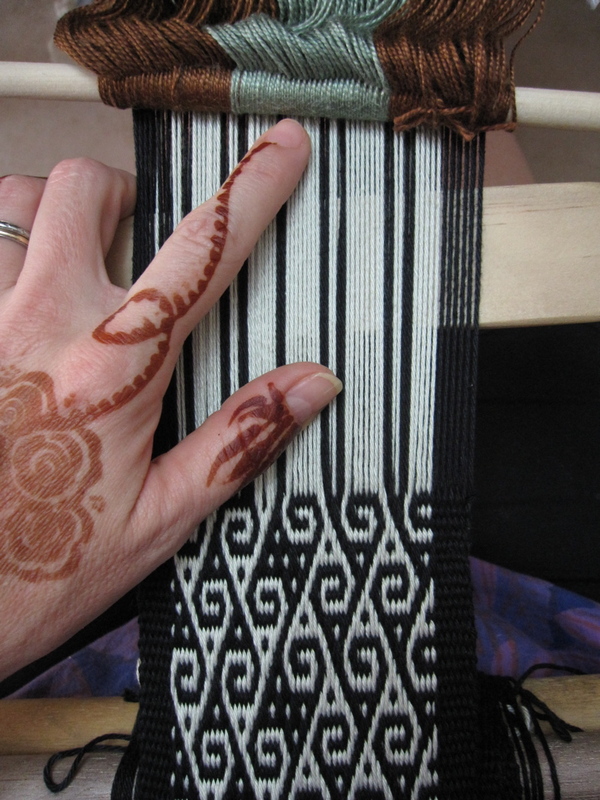 Now that I have finished the black and white complementary warp piece, I have both this one and the one in the top photo on my loom bar, Bedouin and Andean side by side. 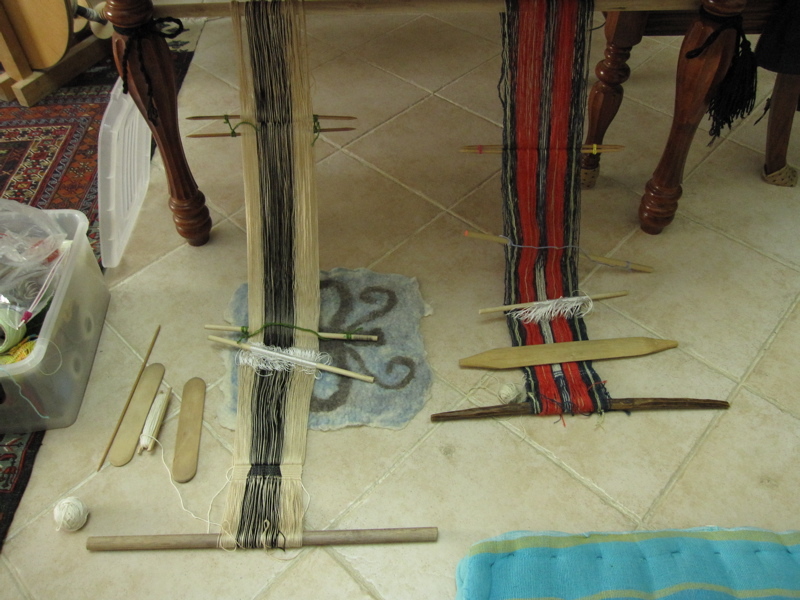 The piece on the left will have a shajarah motif in the center, using warp substitution, and the handspun has a mayo q'enko pattern in pebble weave. The pebble weave is going faster at the moment, since it's only 8 ends of pickup, while the shajarah is 35. But the nice cotton warp is so much easier to manage while changing sheds that it has its own appeal. I have a young budding weaver visiting my home tomorrow, and these will also make good instructive pieces to demonstrate the different kinds of warp patterning. And the henna is almost all faded off now. 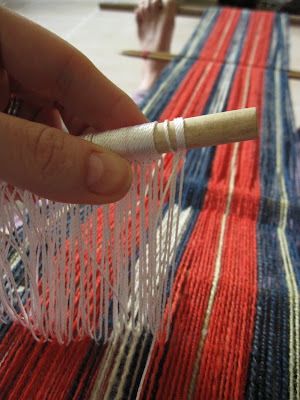 What sort of loom are you using? 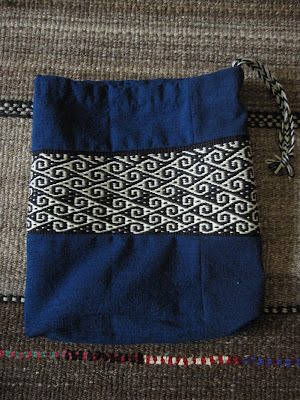 I am new to weaving and it looks really intriguing. Sorry to be confusing. I'm using a backstrap loom, so I just sit there and attach a strap around my back/hips that holds the near end of the warp. You can check my last 2011 post, Taking Note, for more history of my weaving. 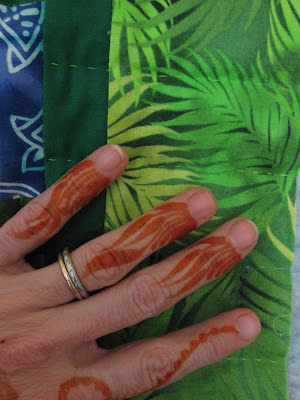 what a beautiful pattern on your hands!